Congratulations to Harvey and Amy on becoming our Head Boy and Girl 2018/19. 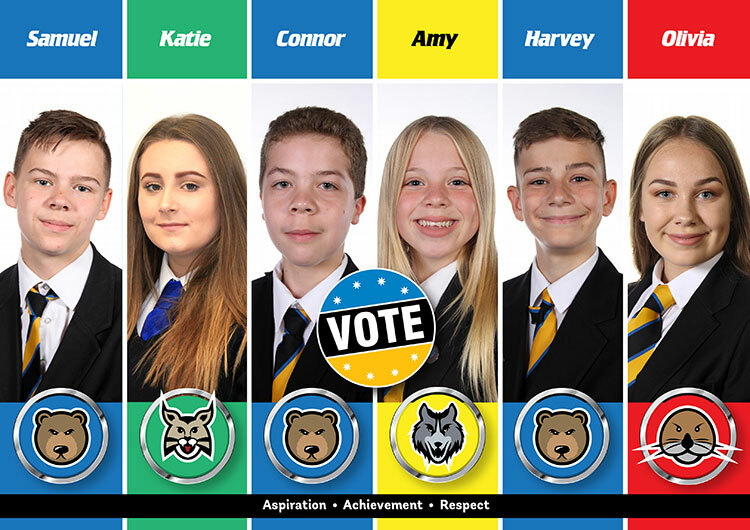 We have 6 pupils campaigning to be Head Boy and Head Girl (Samuel, Katie, Connor, Amy, Harvey and Olivia) – they all had successful interviews before half-term. The candidates will start their election campaign this week and will be speaking in assemblies all week. On Monday 11th June elections will take place during tutor time. Thank you for getting involved in this year’s head boy/girl elections – the results kept swinging one way then another and kept us in suspense the whole count. Please congratulate pupils when you see them. Who wins? You decide! Tomorrow in tutor you will vote for your New Head Boy and Girl 2017/18. 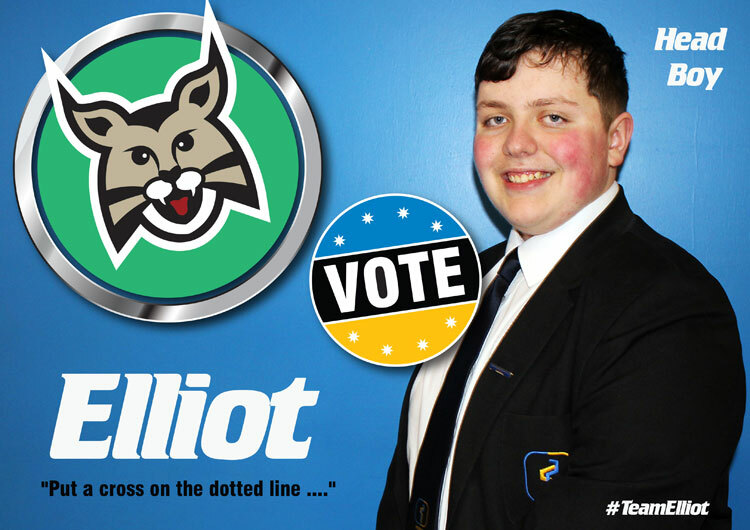 Each pupils video will be aired in tutor on Monday and elections will take place immediately after. 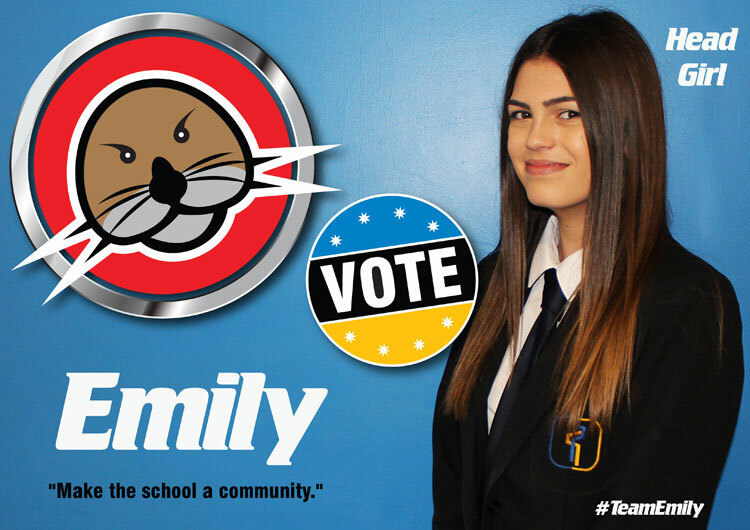 In April pupils who were interested in the role of Head Boy and Girl were asked to submit a letter of application – interviews took place on the 16th and 19th of May and the six successful candidates were then asked to put themselves forward for election. 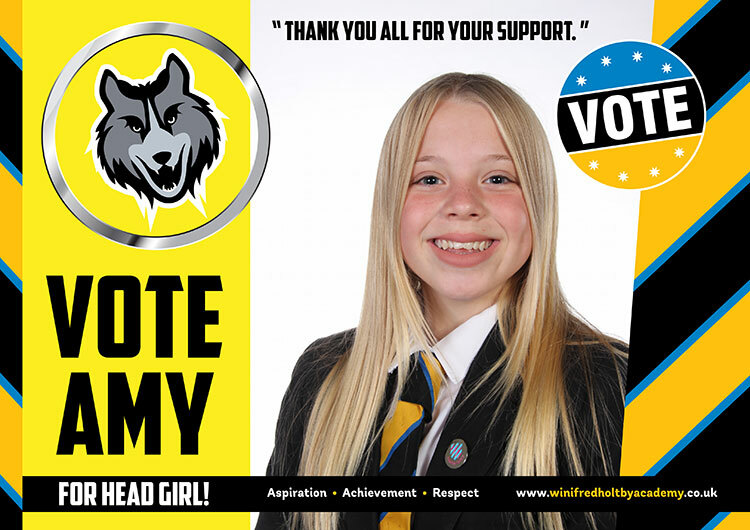 The election campaign took place week beginning 23rd June: candidates put up posters and canvassed pupils and staff, explaining about the work they would do if they were successful in being appointed to the post. Candidates created a short promotional film outlining why they felt they were the best person for the job; the film clips were shown just before the elections took place on the 27th June. All pupils and staff were given ballot papers to complete, as in government elections and the results were revealed on the evening of the 27th June. Our next wave of appointments start this month as Year 10 pupils submit letters of application to become Assistant Prefects – we wish them all good luck!